Inside a cramped laboratory in Shanghai, China, physicist Ruxin Li and colleagues are breaking records with the most powerful pulses of light the world has ever seen. At the heart of their laser, called the Shanghai Superintense Ultrafast Laser Facility (SULF), is a single cylinder of titanium-doped sapphire about the width of a Frisbee. After kindling light in the crystal and shunting it through a system of lenses and mirrors, the SULF distills it into pulses of mind-boggling power. In 2016, it achieved an unprecedented 5.3 million billion watts, or petawatts (PW) reports Science. The lights in Shanghai do not dim each time the laser fires, however. Although the pulses are extraordinarily powerful, they are also infinitesimally brief, lasting less than a trillionth of a second. 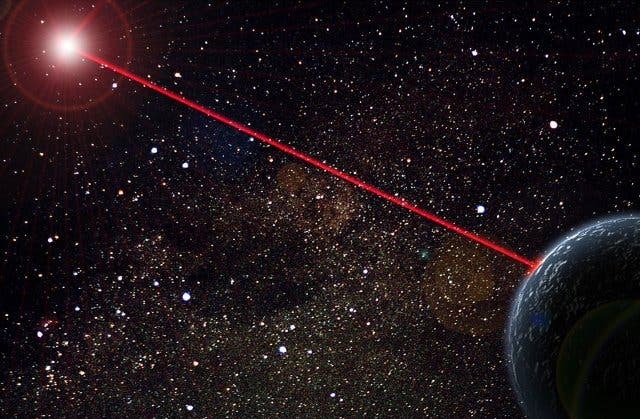 The researchers are now upgrading their laser and hope to beat their own record by the end of this year with a 10-PW shot, which would pack more than 1000 times the power of all the world's electrical grids combined. The group's ambitions don't end there. This year, Li and colleagues intend to start building a 100-PW laser known as the Station of Extreme Light (SEL). By 2023, it could be flinging pulses into a chamber 20 meters underground, subjecting targets to extremes of temperature and pressure not normally found on Earth, a boon to astrophysicists and materials scientists alike. The laser could also power demonstrations of a new way to accelerate particles for use in medicine and high-energy physics. But most alluring, Li says, would be showing that light could tear electrons and their antimatter counterparts, positrons, from empty space—a phenomenon known as "breaking the vacuum." It would be a striking illustration that matter and energy are interchangeable, as Albert Einstein's famous E=mc2 equation states. Although nuclear weapons attest to the conversion of matter into immense amounts of heat and light, doing the reverse is not so easy. But Li says the SEL is up to the task. "That would be very exciting," he says. "It would mean you could generate something from nothing."